1. On arrival at the Airport gate the driver will be receiving you with your name placard. 2. Hotels available online for direct booking (Sea shell, Sinclairs, shompen, Hotel J etc). the check out timing is 9 am, this is because the first flight that comes to port Blair is at 7 am. 4. Flight tickets not included. availability and a sequence cannot be guaranteed. will be shuffled to make sure all your tour gets completed. vehicles are not allowed inside. You can hire cooli to carry your baggage on the spot. 9: Ferry for ROSS AND NORTH BAY ISLAND is non A.C. It’s a 20 minute travel with scenic beauty. BOTTOM. Except SNORKELLING if Elephant beach is available in package or else chargeable. purely seasonal ,it rain here any time of the year. these to ensure proper communication between you and our team. will apply. For groups with 20 or more members Escorts will be provided by default. 15.Any cancellation of package should be informed at least 1 month prior. 16.Payment should be made 70% prior ADVANCE and 30% on the day of arrival. 17. Any other service like Bouquet on arrival etc will be additional. due to high season surcharge). 19. Package includes breakfast at booked hotel. Transportation for lunch is provided during travel ,tothe nearest Restaurant. 20. All tickets and transportation included. Today we visit North BAY and Ross Islands. Ross was the head quarter during British period and has a lot of history which attracts lots of tourist. Ever wanted to have a chance to touch a "deer" or get a snap don’t worry at Ross get to feed one on your lap .North Bay is one islands also as "coral island" by discovery channel show casing some awe inspiring under sea life, being literally with fishes. This is one of the best places to do your water sports activities like SCUBA DIVING, SEA WALK AND SNORKLING, DOLPHIN RIDE AS WELL AS SUB MARINE RIDE. At evening return to port Blair and head to chidiyatapu to watch sun set for the day and later return to the hotel with a lifetime of memory, you never had before. 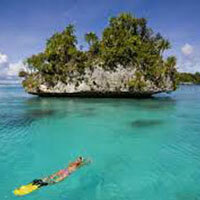 Visit to BARATANG ISLANDS, almost 110 km away is this island with some of the nature's rare lime stone caves. 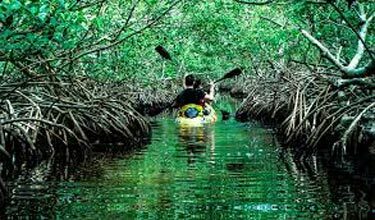 Along with get a chance to see the "JARAWA" tribe by crossing through a lush green forest with chirping birds, absolute happiness. Later check in the hotel at port Blair. Checkout the hotel and proceed to ferry to HAVELOCK ISLAND". 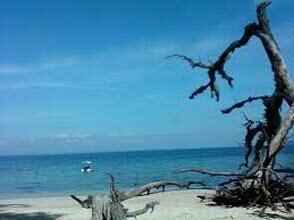 This island has the "RADHANAGAR BEACH" which was adjudged as world’s cleanest beach it’s also Andaman’s longest beach. Later return back to hotel and rest for the day. 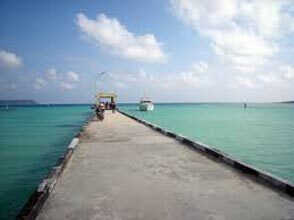 Start the day by proceeding to the Elephant Island, a place for water sports ,clear calm beaches with silver sand. 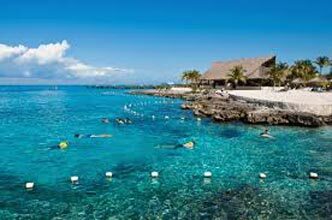 Here enjoy a free session of snorkeling for each. 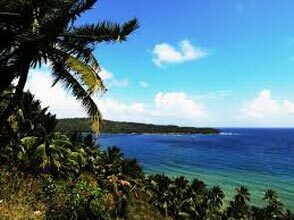 Later return to hotel and pack your bags for the return to port Blair islands. Morning board the ferry from Havelock to port Blair.On arrival at port Blair we head straight to lunch at a restaurant in port Blair city and later start the day with city tour. Visit anthropological museum, Fisheries museum, samudrika and Shopping at sagorika for souvenirs. Later return to hotel. Depart from Andaman with UNLIMITED MEMORIES.